No matter how you spell it, with or without a “u”, colour is mighty important. It can make or break a design, transform it and elevate it. So how do you choose? Or better yet, how did I choose for The Butterfly Effect CAL 2019? Maybe the colors actually chose me, in some ways I don’t think I made any sort of decision – educated or not. I usually don’t put that much effort into choosing colors. 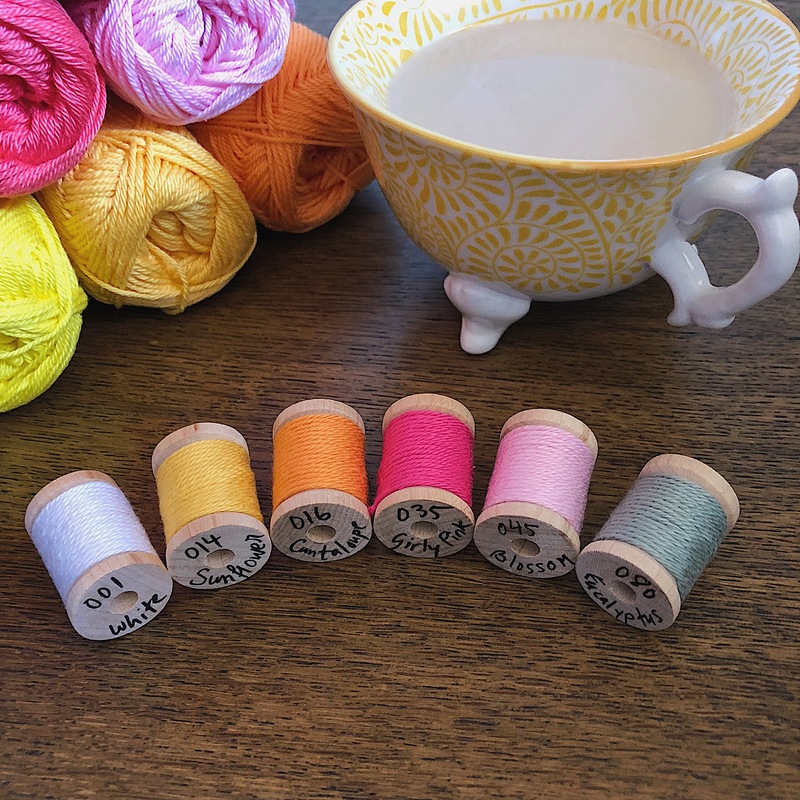 Or maybe I should clarify that: I do put effort into choosing colors when I am making something for someone – like a baby blanket or something but most of the time it feels like I just get lucky. For The Butterfly Effect I first of all didn’t know I had just started my first CAL. I just wanted to make a square. I wanted to start straight away and I wanted to use yarn that I love. So I picked what I had a home, Blend Bamboo, which is hands down my favourite yarn! I worked with the colours I had at home, colours that I usually don’t really work with. I had some yarn left over in bright colours that I had used to make an African Flowers cushion for my goddaughter, those would have to do! 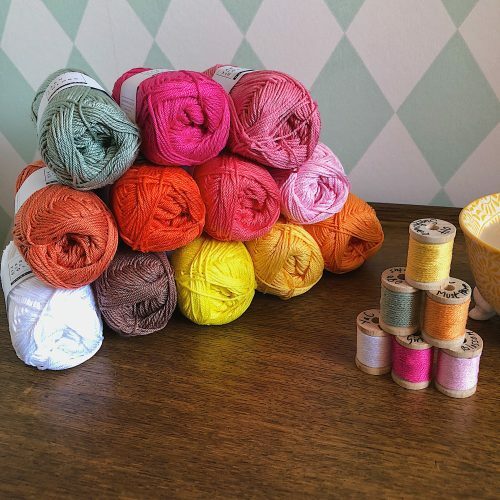 Now when the discussions of a CAL came along and Yarn and Colors got involved I picked 12 colours, I didn’t know how many colours I would use and needed to have a security net. It’s different when you can just run down the street to your local yarn shop and get more yarn. 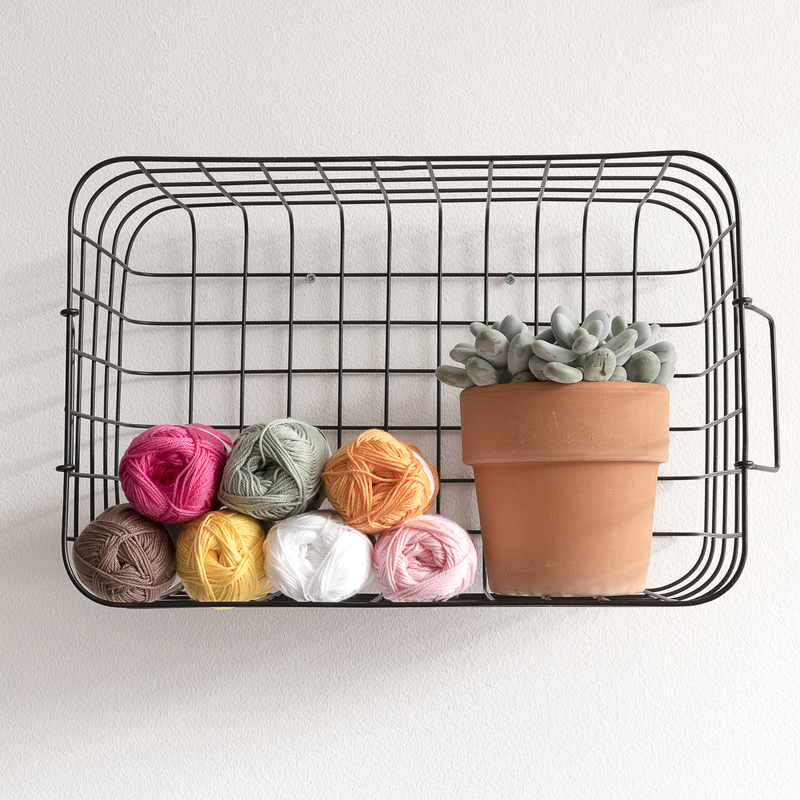 Mine is Litet Nystan but you can only order Yarn and Colors online when you live in Sweden. I added colours as I designed, playing it by ear. That is how I do it most days. I ended up using 7 different colours in total, in the pictures here you see only 6 of them. Can you spot which one is missing? I think it’s interesting how Tess for instance thinks that this colourway is so me. I don’t think so, but it makes me happy because the colours are just that: happy! I guess that they probably are very me, and that’s exactly why I chose them in the end. Also that is probably why they worked so well with my design. Some people have amazing stories on how and why they picked certain colours for a project or design. A thought behind each shade, an idea behind each combination. I can say that about my tattooes, nothing has ever been inked on my body without extreme thought, care and meaning. Which is why they are so much part of me that I usually forget that they are there. When someone points and asks “what’s that?” I usually jump, scared that they are pointing to a spider that has climbed up on my arm or shoulder. Makes me laugh every time, but also satisfied that I know it was the right tattoo for me. So maybe that is how I will start picking out my colours at some point, but for now I play it by ear, cross my fingers and hope for the best. Ps. 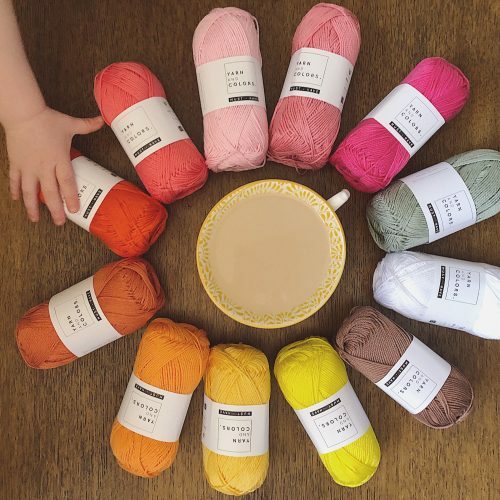 Don’t forget to check out the BE Present colourway and the other two yarn kits on our CAL page and also browse around in our brand new shop! Love those gorgeous colors!! And I spell it without the “u” lol! I’ve been thinking a lot about choosing and finding inspiration as well! Oh thank you, I love them too! Finding inspiration is such a fun topic! We’ve talked a bit about creativity in our podcast, we should probably talk more about inspiration too! 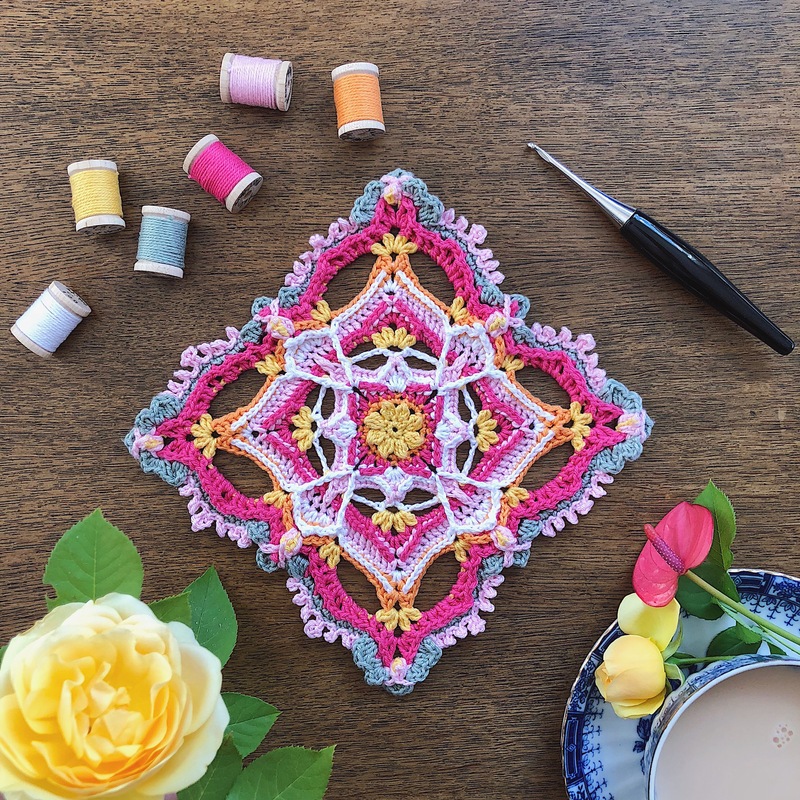 Here on our blog we share everything crochet; from tips and tricks, reviews, patterns and DIYs to advice on running a creative business and managing that oh so precious time.